Top investment officers of the California State Teachers’ Retirement System have discussed moving as much as 12% of the fund’s portfolio—or more than $20 billion—into U.S. Treasurys, hedge funds and other complex investments that they hope will perform well if markets tumble, according to public documents and people close to the fund. Its holdings of U.S. stocks and other bonds would likely decline to make room for the new investments. The board of the $191 billion fund, which is known by its abbreviation Calstrs, discussed the proposal at a meeting Wednesday. A final decision won’t be made until November. A wave of deep selloffs over the past two weeks has shattered years of steady gains for U.S. stocks. Calstrs isn’t reacting directly to those sharp price swings, but they are a reminder of the volatility in stocks and how exposed Calstrs is when markets swoon. Calstrs currently has about 55% of its portfolio in stocks. The fund’s investment officers began discussing the new tactic—called “Risk-Mitigating Strategies” in Calstrs documents—several months ago as they prepared for a regular three-year review of how Calstrs invests assets for nearly 880,000 active and retired school employees. Mr. Ailman, who has been chief investment officer at the fund since 2000, said he hopes a move away from certain stocks and bonds could help stub out heavy losses during future gyrations. This could include moving out of some U.S. stocks as well as investment-grade bonds. Pension funds across the U.S. are wrestling with how much risk to take as they look to fulfill mounting obligations to retirees, and the fortunes of most are still heavily linked with the ebbs and flows of the global markets. State pension plans have nearly three-quarters, or 72%, of their holdings in stocks and bonds, according to Wilshire Consulting. Many retirement systems are now looking to get even more defensive as they lower their investment ambitions and acknowledge a multiyear rally in U.S. stocks and bonds may be nearing an end. Public pensions earned just 3.4% in the year that ended June 30, according to Wilshire, one of their worst showings since 2008 and well below many internal targets. “We’re not going to shoot for the moon for returns, because we could lose,” said Annette St. Urbain, chief executive of the $2.5 billion San Joaquin County Employees’ Retirement Association, which is also evaluating a risk-mitigating strategy. In recent decades many funds plowed into real estate, commodities, hedge funds and private equity holdings as a way of offsetting losses from their primary investments, but that strategy faltered during the 2008 financial crisis when many pension suffered heavy losses. Their countermoves in recent years—which include a bigger shift into non-U.S. equities—have left funds more exposed to problems around the world. State pension fund investments in foreign stocks have grown to 21% of their portfolios on average from 18.8% from 2008, according to the Wilshire. During the same period, holdings of U.S. stocks dropped to 27.9% of all public pension holdings from 38.1%. Holdings of real estate and private-equity funds rose. The proposal at Calstrs differs from the defensive strategy unfolding roughly a mile away at the larger California Public Employees’ Retirement System, which decided last year to exit all hedge-fund investments as a way of reducing its reliance on complex holdings. 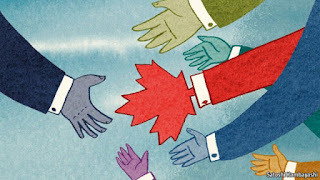 Other pensions seeking to diversify have beefed up stakes in bonds or international stocks. One fund taking an approach similar to Calstrs is the Hawaii Employees’ Retirement System, which later this month could approve a shift of between 10% and 20% of its $14.4 billion in assets out of stocks and certain bonds into what it considers to be safer bets of U.S. Treasurys and so-called liquid-alternative funds that mimic hedge-fund strategies. “You take away some of the human judgment or hubris,” said Vijoy Paul Chattergy, the pension fund’s chief investment officer. The Calstrs documents propose a range of commitments to the new strategy, from zero to 12%. In addition to Treasurys and hedge funds, the new holdings could include liquid-alternative funds, according to people close to the fund. The goal is to find investments that don’t track as closely with market swings. Commitments to infrastructure projects would also climb, according to the documents. Holdings of foreign stocks could rise or fall, depending on what the board approves. Calstrs hasn't made any major adjustments to its portfolio as world markets seesawed. Mr. Ailman said he knew there would be turbulence after Asian markets tumbled last month but said Calstrs chose to stay put because it views itself as a long-term investor. The California State Teachers’ Retirement System, the second-largest U.S. pension fund, will explore moving as much as 12 percent of its portfolio into global stocks, infrastructure and Treasuries in order to diversify and reduce risk, its investment committee voted Wednesday. 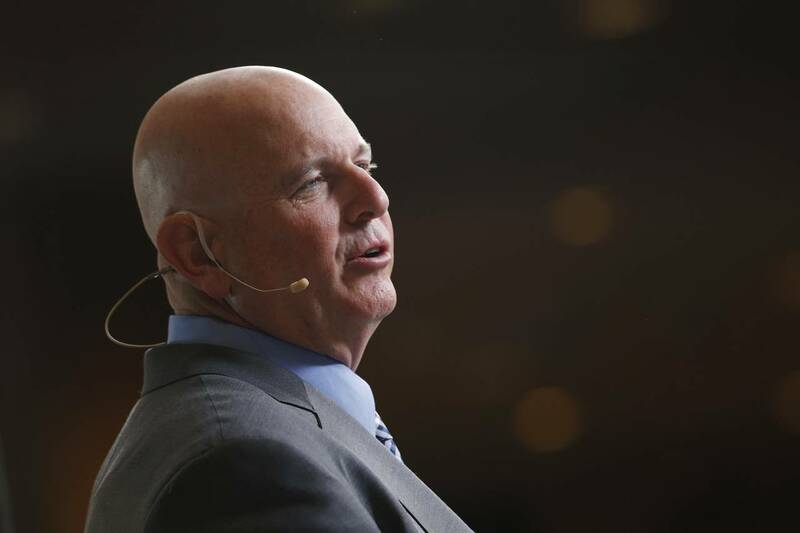 Leaders of the West Sacramento-based fund are seeking ways to hedge against volatile stocks that compose more than half its $191.4 billion portfolio after the global financial crisis wiped out more than 10 percent of its value between 2008 and 2010. The pension fund’s consultants discussed a so-called “risk mitigation strategy” with the investment committee Wednesday, and members ordered the consultants to come up with two portfolio models: one with a such a category and one without. They noted it would take years to develop a new portfolio -- which could equal as much as $23 billion based on Calstrs’ current market value. Another consultant, Stephen McCourt of Meketa Investment Group, said the biggest downside to the strategy is higher management fees. Board member Paul Rosenstiel, a former public-finance director at Stifel Financial Corp., questioned why other institutional investors haven’t taken the same approach if it decreases risk without depressing returns. Emkin said some, including endowments, already have. 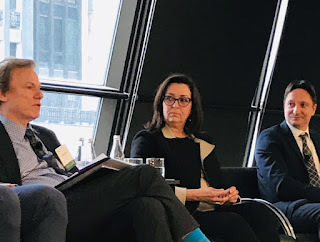 Pension Consulting Alliance and Meketa recommended strategies to produce steadier returns, including infrastructure investments, moving toward a more global mix of stocks instead of the current bias toward domestic equities and reducing traditional fixed-income investments. 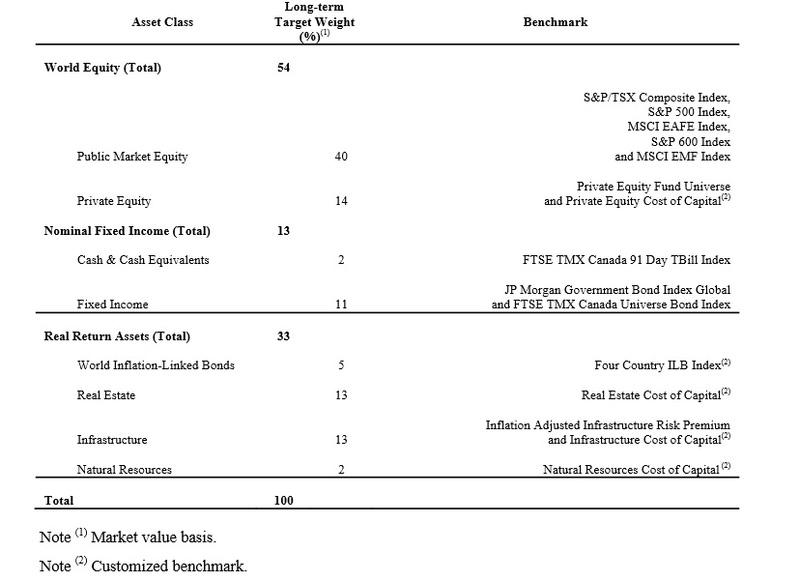 You can review CalSTRS's 2015 Asset Allocation Study - Part 5, Portfolio Modeling here. I suggest you carefully read through this document as it contains excellent analyses from the two consultants, Pension Consulting Alliance and Meketa Investment Group. California's two major public pension funds, the biggest in the nation, lost a total of more than $5 billion on energy-related investments for their fiscal years, ended June 30, according to a new report. The California Public Employees' Retirement System posted losses on its oil and gas portfolio of about $3 billion, a 28% decline, and similar set of investments at the California State Teachers' Retirement System was down 27%, or about $2.2 billion, the report said. Both systems, though, posted overall annual gains for the year. CalPERS, with $300 billion in assets under management, reported an overall gain of 2.4%. CalSTRS, with about $190 billion in assets, had a total return of 4.8%. 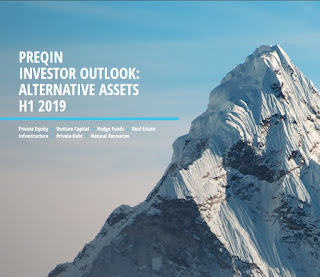 The report covering the funds’ largest oil and gas investments was prepared by Trillium Asset Management, a Boston investment firm specializing in what it calls “socially responsible” investments. Trillium produced the report on behalf of 350.org, an environmental group backing a pending state Assembly bill that calls for California's big pension funds to divest from coal-related holdings. Responding to the report's data, Joe Deanda, a CalPERS spokesman, said: "We're a long-term investor and don't focus too much on any single year's performance. It won't change our long-term investment strategy." CalSTRS spokesman Roberto Duran said the fund is “researching” its thermal coal holdings in light of a state Senate bill that would require it to divest such holdings. The funds' energy losses came during a year in which energy holdings generally fell amid plunging oil prices. It's hard to say whether these energy related losses were behind the move to review their portfolios and reduce risk. They are taking a different approach to reducing their risk as CalPERS is looking to shift more into bonds and CalSTRS is looking to invest in infrastructure, and some hedge funds like global macro and CTAs. Many U.S. public pension funds in much worse shape than California's giant pension funds are struggling with the market's wild gyrations. Most of them took on huge risk and paid excessive fees praying for an alternatives miracle which never really panned out. Many of them will end up like South Carolina, gambling big on alternatives but having little to show for it. The problem at most U.S. public pensions is their governance, it's all wrong. They don't have a qualified, independent board supervising professional pension fund managers who get compensated properly to bring assets internally instead of farming them out to external managers which charge excessive fees no matter how well or poorly they perform. As far as CalSTRS looking at risk mitigation strategies, it will take a long time to implement this new portfolio and as a friend of mine told me this morning, "these pension funds always talk about the long-term but they're reactionary and focus too much on the short-term. " He added: "CalSTRS is basically looking to neutralize vol by implementing risk mitigation strategies." I don't know why CalSTRS is looking at ways to mitigate risk. Chris Ailman seems like a very sensible guy. Maybe he's worried about deflation and is thinking hard about how their fund will attain its 7.5% bogey in a world of low growth. I personally think CalSTRS and others clinging to that 7.5% bogey are delusional. It's best they drop it to 6.5% and have their stakeholders contribute more to shore up their pensions. As far as reviewing policy portfolios at pensions, I know all about this exercise. Back in 2005-2006, a group of us at PSP Investments were in charge of reviewing our asset mix and recommending changes to it. We discussed various economic scenarios and I do remember wanting to include the deleveraging/ deflation scenario in our simulations but my recommendation was dismissed as being "too negative and unlikely" (they should have listened to me on that and many other things!). Anyways, here's what these reviews consist of in a nutshell. You start by looking at what government bonds, your riskless assets, are currently yielding. At this writing, the U.S. 10-year Treasury bond has a yield of 2.16%. 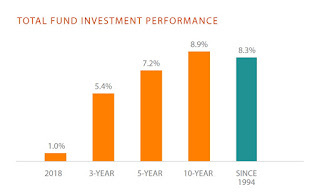 That's hardly enough to achieve CalSTRS's 7.5% bogey so they need to add stocks, corporate bonds, emerging market bonds and stocks to the asset mix to make up the difference as well as illiquid, long-term asset classes like private equity, real estate and infrastructure. But they also want to obtain the highest risk-adjusted returns on their overall portfolio (in finance parlance, they want a very high portfolio Sharpe) to limit the volatility of the funded status. I won't get all technical here but what this does when running portfolio optimizations is the optimization model allocates primarily to illiquid asset classes because the optimizer is biased toward asset classes where the risk-adjusted returns are highest. 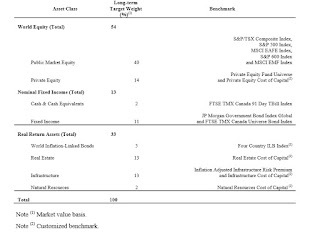 And because volatility of returns of these illiquid asset classes is seemingly lower (mostly due to stale pricing), the optimizer tends to favor these asset classes. Long story short, when we ran the optimizers at PSP (with the help of State Street) and weighted our economic scenarios, we adjusted for these issues and came up with a policy portfolio for PSP. Keep in mind, PSP has to achieve a real rate of 4.1% which is significantly lower than that of CalSTRS, CalPERS and other U.S. public pensions -- and far more realistic! Now, when I covered PSP's fiscal 2015 results, I expressed serious concerns with the benchmarks governing Real Estate and Natural Resources but I don't have an issue with PSP's Policy Portfolio per se, although they too probably need to review it every couple of years to make sure it's realistic and in line with their long-term objectives. This is the exercise that CalSTRS's consultants just did for them. Again, take the time to review CalSTRS's 2015 Asset Allocation Study - Part 5, Portfolio Modeling here. There is a lot of good stuff here from both consultants but there were parts where I fundamentally disagreed. Just keep this in mind, if we ultimately end up in a long deflationary slump, the ultimate risk mitigation strategy will still be good old U.S. bonds (read my comment on CalPERS reducing financial risk for more insights). What is your required return? What is your achievable return? How big of a hit can you take along the way? The answers to all these questions including that last one are extremely important for all funds, especially underfunded U.S. pensions taking on more risk in alternative investments to achieve their pension rate-of-return fantasy. They simply can't afford to take another hit like 2008. Also, a word of advice for Chris Ailman and Ted Eliopoulos. Take the time to talk to Bryan Wisk at Asymmetric Return Capital who I referred to in my comment on America's Risky Recovery back in April. 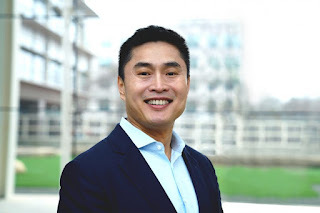 Bryan is a super sharp and super nice guy who will really open your eyes on smarter ways to hedge against tail risks in these volatile markets. I guarantee you talking to a guy like Bryan is worth infinitely more than any consultant's report. Below, Chris Ailman, CIO of CalSTRS, provides a discussion on the fund's 2015 asset allocation but keep in mind this was before the latest review on risk mitigation strategies (uploaded on May 28, 2015). In the second clip, Ailman discusses CalSTRS's fiscal year results for 2014-2015. I also embedded part 1 & 2 of the CalSTRS Investment Committee from July 2015. These meetings are long but take the time to listen to them as you're getting a glimpse of what goes on at public pension fund board meetings. I still think U.S. public pensions have the wrong governance model but one area where CalSTRS and CalPERS excel is in communication and transparency (none of Canada's large pension funds tape their board meetings and post them on YouTube). Lastly, I embedded a clip from the June investment committee where former hedge fund all star Tom Steyer provided his insights on sustainable investing. For those of you who don't know him, Steyer is the founder of Farallon Capital Management, one of the best multi strategy hedge funds in the world. He's now a billionaire philanthropist, environmental activist and a high profile Democrat who might run for office in the future. Very smart guy, take the time to listen to him.